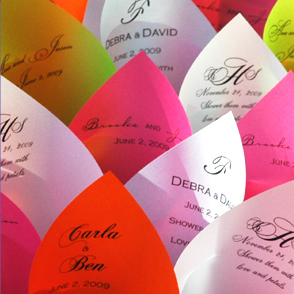 Personalize your wedding event by providing your loved ones with these monogrammed paper petal cone favors adorned with your names and wedding date. Perfect for tossing petals as you make your exit down the aisle. Available in magenta, baby blue, orange, pearl and green apple. Six different fonts are also available.